If you have (or are) a kid between the ages of 9 and 12, run, don’t walk, to the Black Hills of South Dakota to sign up for a week-long archaeology summer camp. During the week-long camp, kids will get the chance to participate in a real archaeological dig in Deadwood led by real, live, honest-to-goodness archaeologists. 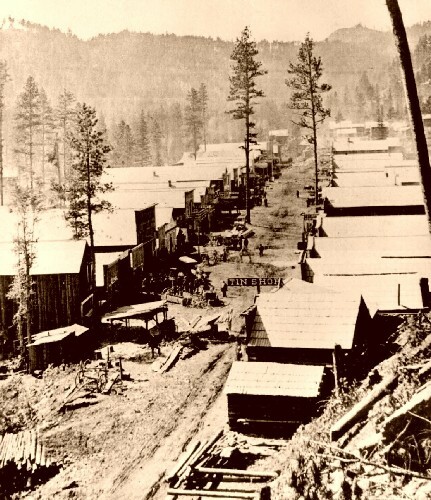 Many of Deadwood’s archaeological digs in recent years have been in the old Chinatown district, where the Fee Lee Wong family (pictured above) lived and worked. There hasn’t been any official word yet, but the children in the summer camp may get to learn in this area. The curriculum includes a crash-course in the archaeological process, as well as hikes from the excavation site to related locations, a visit the State Archaeological Research Center in Rapid City and daily lessons from professionals ranging from general historic preservation to mapping techniques and – perhaps most thrilling of all to a third-grader – how to use a compass! “But, liv,” I can hear you ask, “how could I afford to send my kids to such an incredible summer camp?” My reply? A quick excavation between the cushions of your couch should do the trick because the total cost for the whole week is $25. Even if you don’t live in the area, you should seriously consider taking the week of June 23rd for vacation, and hightail it to Deadwood like it’s the Gold Rush all over again. An opportunity like this is just too good to miss, and there are only 20 spots in the camp so the clock is ticking. This entry was posted on Monday, April 28th, 2008 at 9:22 AM	and is filed under Education, Modern(ish). You can follow any responses to this entry through the RSS 2.0 feed. You can skip to the end and leave a response. Pinging is currently not allowed. Oh man, that’s all there is to it. I’m going. I’m f***ing going. Well, actually I probably won’t. But, I’m gonna wish I could. Great idea! Why didn’t they have such things when I was a kid in America? I am circulating your post to the American friends. My pleasure. I’m keeping my fingers crossed that one of your friends’ kids gets in. But seriously people, dig directors are often looking for free slave labor… I mean, volunteers, who actually PAY THEM to do do the heavy lifting. Sometimes the costs are astronomical, but other digs are pretty darn cheap. FYI, “field schools” will be more expensive than other digs, but you’ll learn a lot more than just how to move dirt. Sorry about the multiple posting thing, Erin. I have comments set to go into a moderation queue if they have links in them just to prevent spammers from sneaking through. Thank you for the fabulous link to AIA’s fieldwork opportunities. I knew there was stuff out there, but I didn’t realize there was such a smorgasbord of options all over the world. I think the Deadwood summer camp is a great way to introduce kids to the field without being intimidating (or possibly illegal ). Whew! Glad I’m not just incompetent! Moderating comments is the way to go regarding spam blocking. I’ll try to remember that next time and not wonder if I’ve gone mad. I also have an anti-spam plugin that works wonders, but sometimes sneaky spammers make it through, so the link moderating is my last line of defense. In July, 2009 an archaeological excavation was shut down on a historic preserved site in order to continue with the construction of a new addition to the Deadwod recreation center. In other words the construction is destroying Deadwood history! That’s horrible. I can’t imagine new construction would be allowed to impinge on an officially designated historic landmark. Do you have any more information on this?